Five minutes ago I finished “The Returned” by Jason Mott and, believe me, I had no intention of writing a review this fast. I rarely review a book right after I finish it, mostly because I like to take some time to allow the information, the emotions, and everything I experienced while reading it settle in. But, reading the author’s notes at the end of the book, so many thoughts came to my mind that I just had to put them down. I don’t know what I was expecting when I started on “The Returned”, but it really doesn’t matter now. Whatever I’d have expected from it, it would’ve been impossible to end up that way. I’ve read some reviews of this book, and most of them were raving. But there were two or three where people complained about it being too slow, or about not offering answers to burning questions. The way I see it, the book is based on a very simple, unimpressive idea: what if the dead came back to life? Not as rotten corpses, not as weird, confused people who didn’t know they had been dead, not as anything… Just came back to life the way they were when they died, and started living again like nothing had ever happened. Now, this could have gone two different ways, and none of them would have been very inspired. 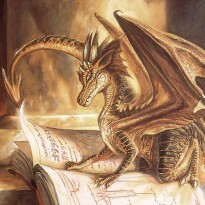 If the author focused even a bit on giving some kind of explanation as to how or why people woke up from the dead, the book would have probably turned into a fantasy novel of some sort, and much of the message and the emotion would have been lost on the way, blurred by made-up theories. On the other hand, if the author completely avoided these questions, which all readers hoped would be answered in the end, the novel would have probably ended up being too metaphorical and experimental. But the balance Jason Mott managed is perfect. By the end of the first half of the book I wasn’t expecting any logical conclusions anymore, although I was still paying attention to any possible clues that might have shed light on what was happening. “The Returned” doesn’t offer answers to any of those pressing questions – “Are the Returned people?”, “What makes them come back to life?”, “Is there a bigger plan behind all this?”, “Is it a disease? Is it science? Is it something supernatural? Is there someone who actually knows what to do with them?” –, but it does invite readers to find their own answers to so many other questions. I haven’t gone through the pain caused by the death of someone close, but I will eventually. It’s inevitable as much as we’d like this to be false. I assume that when something like this happens, we’d give anything to have that person back. And if, by some miracle, our wish was granted, then why wouldn’t others experience the same miracle? Following this train of thought, “The Returned” offers the image of a world that is simply not big enough for that many people. Things are turned upside down (have you noticed the cover?). The Dead want to live the life they never had the chance to live, and the Living are willing to turn this into a cause and give their lives for it. There are some people who want the Returned dead as they should be, but those are only the ones who have been refused the miracle everyone else received. People like Fred Green, who only wanted his young wife back. I don’t know what else to say… The book is brilliantly written. There’s suspense, mystery, even some action. Not much if you prefer fast-paced novels. It’s also original, confusing, and a bit dissatisfying. Yet, you get all the satisfaction you could ask for in terms of emotional charge, thought-provoking ideas, and unsolved matters that leave you staring into space. There were moments when I wanted things not to be so random, just like they usually are in real life. Maybe I wanted to see someone punished, but it wouldn’t have made any sense, because it was no one’s fault. Eventually, I wanted to find out that whoever killed Jim, Connie and their children (the first time) was someone from their own town, not a random stranger. But it was perfect the way it was. "Here and there across the visiting area, the guards were separating the dead from the living. Visiting time was over." I guess you don’t have to write them at the very beginning. Just where they fit better. 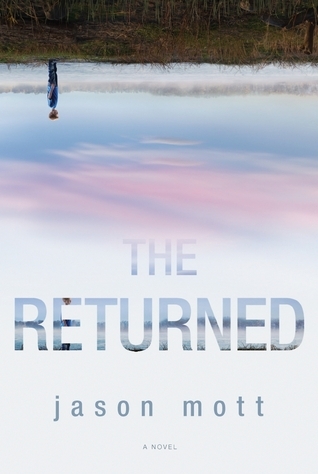 If I were to describe in a few words what this novel is about, then I’d say “The Returned” is about letting go.